Yasmine Hussein is a litigation associate and focuses her practice in Personal Injury, General Tort Liability, Insurance Defense and Business & Commercial Law. 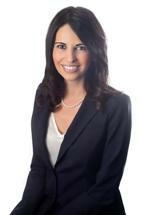 She has experience representing clients in all aspects of litigation through trial. Prior to her time with Larson & Gaston, LLP, Ms. Hussein worked as a plaintiff's personal injury attorney. She also clerked for Hon. Jeffrey King in the California Court of Appeal and for the Los Angeles County District Attorney's Office in the gang unit. Ms. Hussein is a member of the Los Angeles County Bar Association, Pasadena Bar Association and is licensed to practice in all California State Courts.